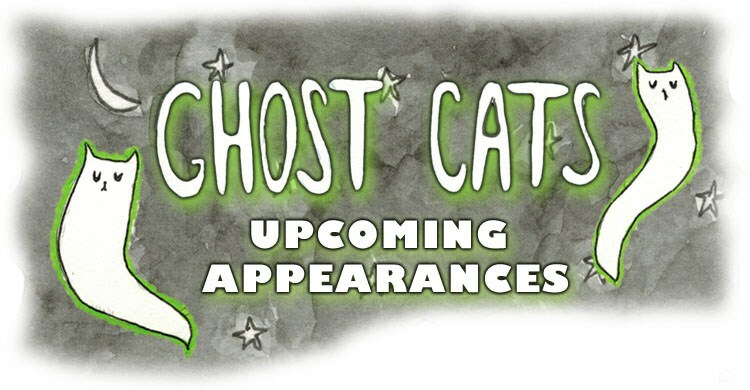 Ghost Cats will be haunting these events! March 17-19, 2019: Toronto Comicon - @ Metro Toronto Convention Centre, Toronto, ON. May 18-19, 2019: Vancouver Comic Arts Festival - @ Roundhouse Community Arts Centre, 181 Roundhouse Mews, Vancouver, BC. 10am-5pm both days.